Involved in a lovely wedding photo shoot this Friday with lots of very talented ladies who all run their own small businesses. 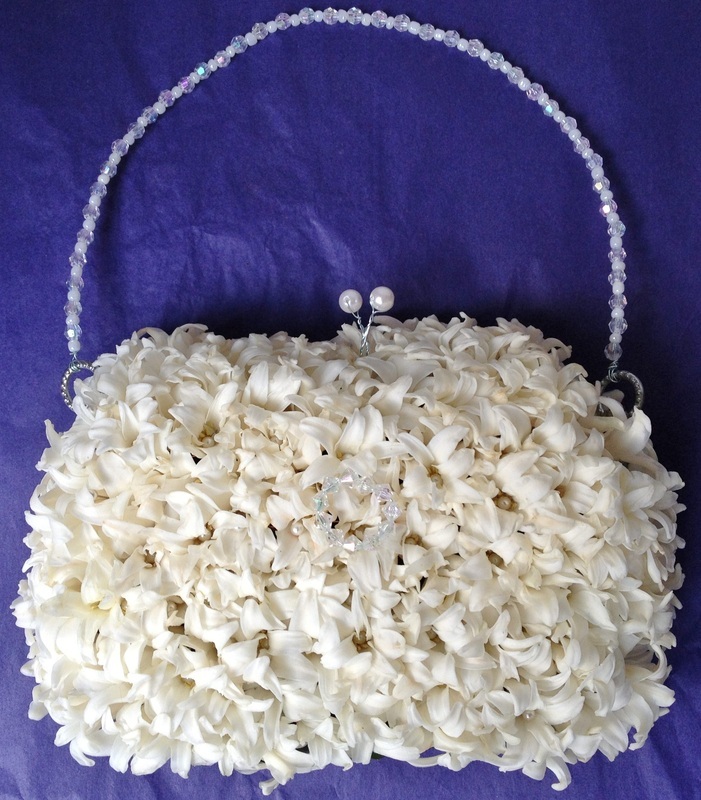 Playing around with this little Bridesmaid's handbag as a mock up in preparation using hyacinth pips individually pinned on with pearl headed pins. The smell is amazing. 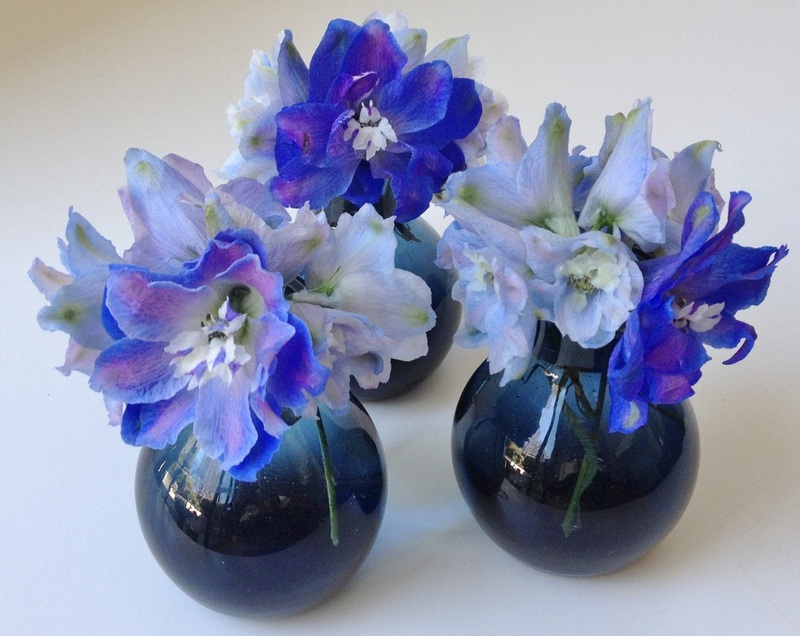 3 pots of delphinium "leftovers" from a job this morning. First ones I've used this year - just couldn't bring myself waste them! So I didn't get my garage flowers in the end - in fact there wasn't a flower in sight for me on Mother's Day once I had finished my deliveries and de-thorned my thumbs. 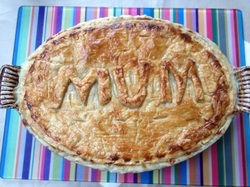 The kitchen table transformed from florists to Sunday lunch and I was treated to this wonderful pie followed by an afternoon on the sofa watching "Grease" (including bad singing along courtesy of the Over 40's). Heaven. 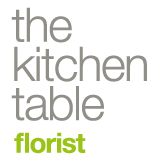 What a great few days for women & what a busy week for florists. With International Women's Day today and Mother's Day on Sunday it's good to feel appreciated. Mind you, a friend of mine did point out today that "where International Women get a day, the British Sausage gets a whole Week". Mmmm. I love it when all the fabulous spring flowers arrive but it has meant I have really struggled with what to put in a bouquet for my mum. The market is full of stunning narcissi and daffodils, ranunculus and tulips, magnolia and blossom. 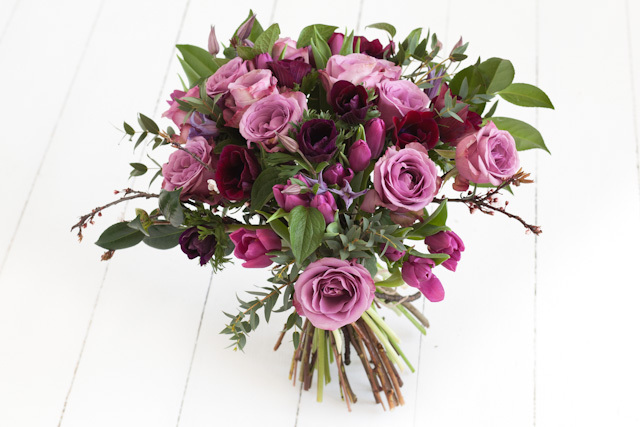 After much deliberation I've finally plumped for antique pink roses, pink and lime green parrot tulips (her favourites), cherry blossom, wonderfully droopy geulder roses, deep burgundy anenomes with their purple centres and purple heart ranunculus - a contrast of textures, shades of pink, lime green and purple & a real "nod" to spring. I suspect I may get garage flowers from my children. Roll on International Sausage week. I love door wreaths - baubles, feathers, full on fir or simple branches are all fine by me. I have clear memories of walking to school and awarding the door wreaths I passed a mark out of ten. We grew up with a turquoise tinsel door wreath with silk baubles hanging from it which, to my mind, was the epitome of great taste and the only wreath to merit a perfect 10. Nowadays I am always delighted to see how many doors are decorated with fabulous wreaths & love that the majority are made from fresh foliage, berries and fruit. I have been wreath making this last week using the traditional method of covering a wreath frame with fresh moss (one of the truly great smells in life), wiring on fresh fir around the outer edge and middle, saving the best triple branches to decorate the top, before adding the "bling" of festive decoration. It is quite a time consuming process but the result is a really strong wreath where the damp moss keeps the foliage fresher for longer. The dog has been very patient while I've been making them so I'm off out now to take her for a good long hike but I will be keeping my eyes peeled for turquoise tinsel and that all elusive 10 /10. I have to confess that I am a complete sucker for all things Christmas and have to hold myself back from decorating the house from top to bottom as soon as the advent calendars come out on December 1st. The one thing that saves me is that Christmas hits the flower market early so I can indulge my passion from mid November when the market is filled with the sound of carols at 4 am and normal displays are replaced with acres of glitter, glitz & baubles. I absolutely love making these traditional advent wreaths which are delivered for the 1st of December when the first candle is lit, one candle being then lit every week until Christmas when all four are finally burning. This year I have kept things very natural - pine, eucalyptus, hypericum, pine cones (collected from Dorset), rosemary, thistles, cinammon sticks, lavender and orange slices have all filled my house with wonderful scents. I'm off to deliver them now and it feels like Christmas is finally coming. A little Halloween table arrangement I made this week that is really easy to make. Take 3 little pumpkins (gourds) and scoop out their insides. Wash them and wipe around the inside with a bit of bleach to kill that pumpkin smell. 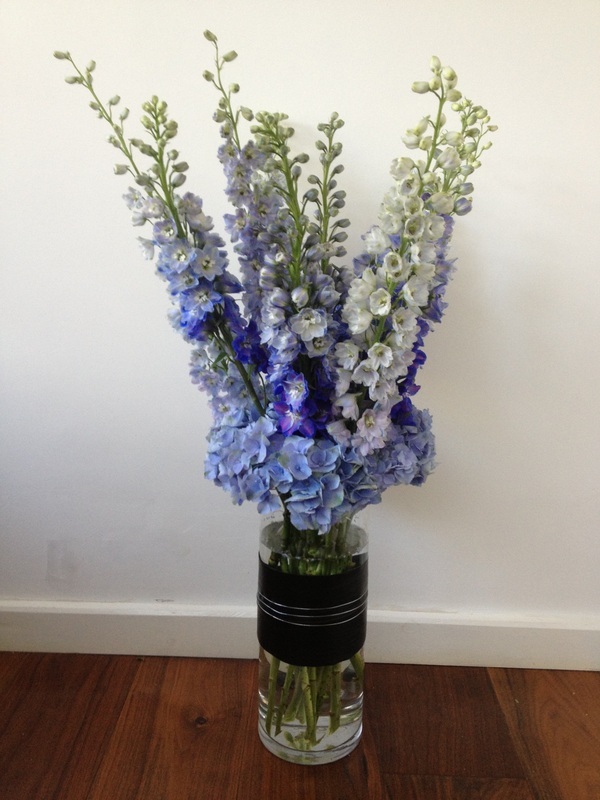 Fill the holes with pre-soaked floral foam and insert 3 large-headed roses into each. 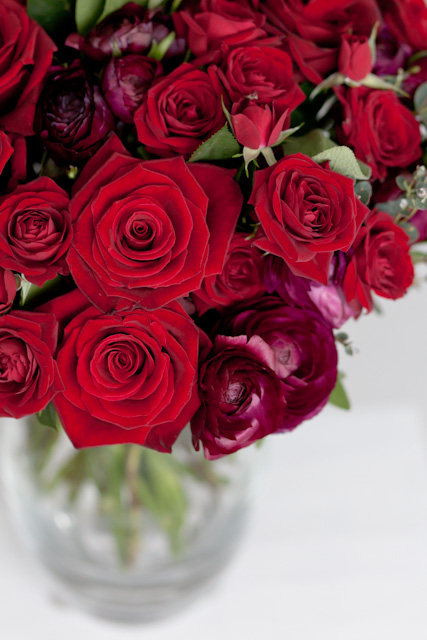 Fill any gaps with small rose leaves left on the stem. 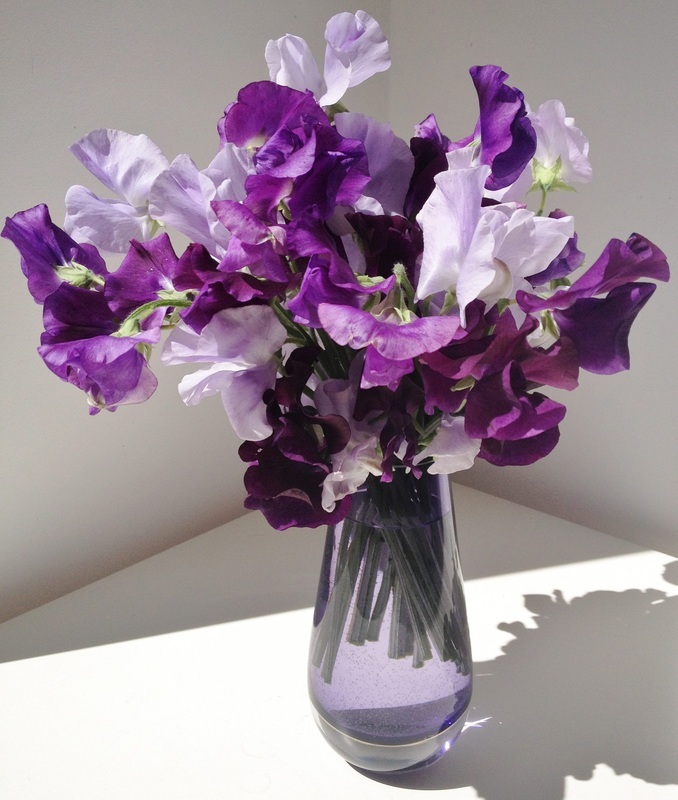 They look great as a table centre, on a mantlepiece or as Halloween Gifts.